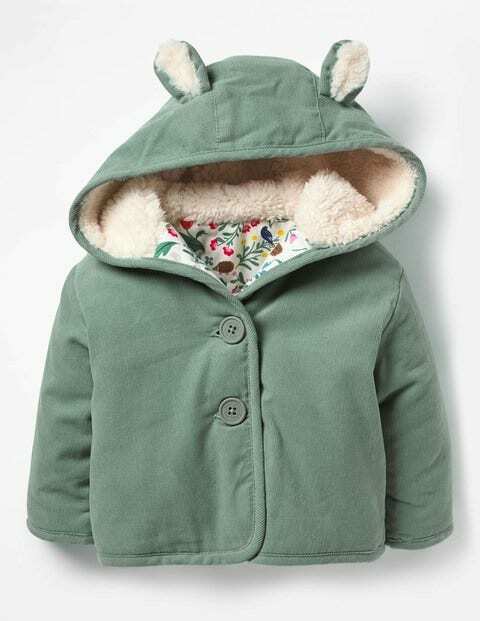 If you go down to the woods today... dress your little ones in our cosy animal coat. This cotton corduroy design is lightly padded and has a soft printed lining, with a fleecy hood to keep in the warmth. Buttons on the front make for easy dressing, while 3D ears and appliqué detailing make for a whole lot of fun.